Every year, I try to plan a birthday party for my daughter that's both fun and memorable, but when I run through a list of kids birthday party venues, it's all so run-of-the-mill: bounce houses, pizza arcades, indoor playgrounds. Not that there's anything wrong with those places—they're popular because kids love them. But I'm seeking out kids birthday party places near me that are more unexpected. Here are a few I think my little one (and yours) will probably be into. The professional dance instructors at many a dance studio, especially those that specialize in kids' classes, will lead party groups in learning quick-and-easy dance routines. Find a dance studio near you. Acting and improv games, designed to hone the instincts of actors, hinge on silly words, actions, and sounds—what kid doesn't enjoy that? Find a theater near you. 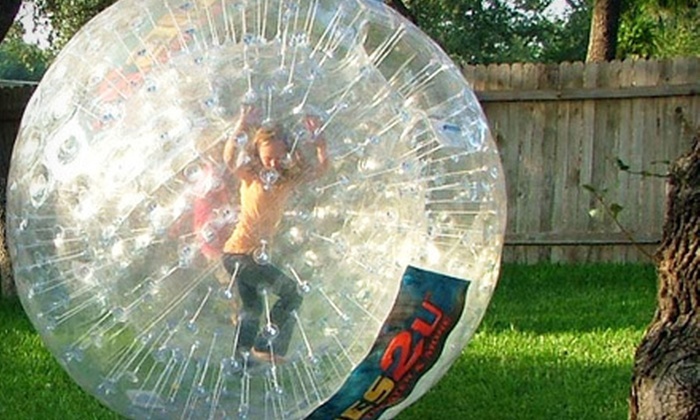 Think of it as an amped-up indoor playground. Most of these have climbing obstacles, foam pits, and other scaled-down structures the likes of which you've only seen on American Ninja Warrior. Find a ninja gym near you. Read more about ninja gyms here. Instead of a bouncy house, try this spin on those popular places to have kids birthday parties. Being propelled into the air each time you jump is an exhilarating feeling that even the grownups will love. Find a trampoline park near you. At AquaMermaid in Chicago and other locations around the country, kids don a mer-tail and learn techniques for swimming, literally, like a fish. Many a cupcake bakery also host cupcake decorating workshops—which make for a great gathering for which you won't even have to buy a birthday cake. Find a bakery near you. What better way could there be to let your kids get their hands messy? Find a cooking class near you. At Chocolate Works in New York City (and other locations throughout the state), a kids birthday party includes learning how to mold and dip their own chocolate creations. You know the grownups will want to get in on that! Painting parties are not just for grownups—most of those paint party spots also host kids parties, as do other art centers, such as pottery studios. Find an art studio near you. STEM centers aren't just for classes and workshops—lots of them host great kids' parties, where little ones can learn the science behind slime or tackle robotics by making their own little automatons. Find a STEM center near you. 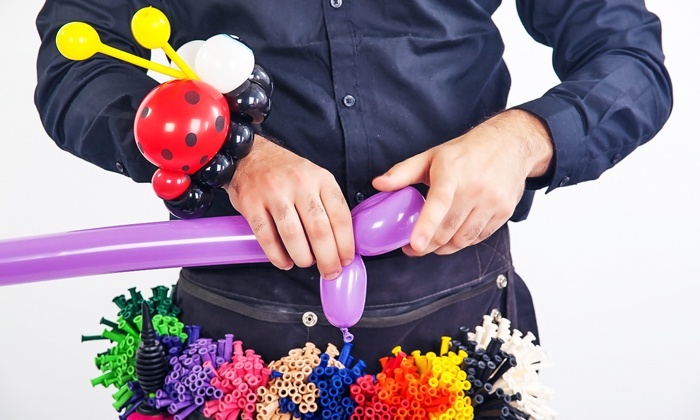 Balloon Experts in Hialeah, FL, will not only send someone out to create balloon animals for the kids; they'll also teach them how to make their own air-filled menagerie. Lots of movie theaters do group packages that include popcorn and time in a party room—a great way for kids to get together over a spectacle on the big screen. Find a movie theater near you. Whether it's music or a theater performance, buy a block of tickets at a great group rate, and give your kid and friends a memorable and exciting outing. Find kids shows near you. A mobile video game truck will pull up to your home loaded with huge screens and all the latest systems and games your kids have been begging for—and they get to play with all their friends. Find mobile video games near you. The mobile units from Games2U (with locations all over the country) are not your ordinary video game trucks—they also transport laser tag equipment, roll out human-sized hamster balls, and let kids climb into and operate 7-foot tall robot units. Need more inspiration? Shop birthday parties near you. We've rounded up five activities for kids that bring the whole family together (but it's up to you to imagine the heart-warming music playing in the background). Here are our top 10 girls' birthday party ideas for when you need to buck the conventions—and some for when you just need to upgrade them a bit. To avoid a bounce house blunder, we've answered the most frequently asked questions, as well as some you might not realize you had.